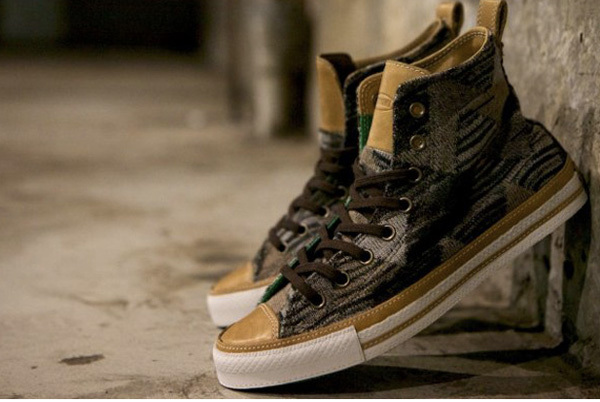 After recently having released their “Archive Project” exclusively sold at Parisian boutique collete, Missoni and Converse continue there collective success in a new rendition of the Chuck Taylor All Star Hi for 2012. 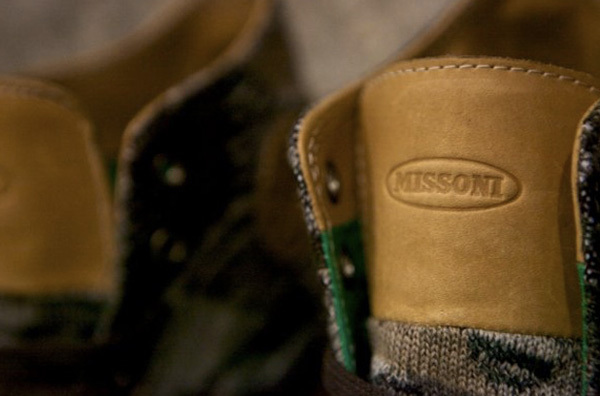 We’ve been fans of this collaboration for awhile now, cognizant of the fact that when brands as large as Converse and respected as Missoni come together, oftentimes the results fall below expectation. Considering the two label’s past projects however, you can expect an exceptional product. 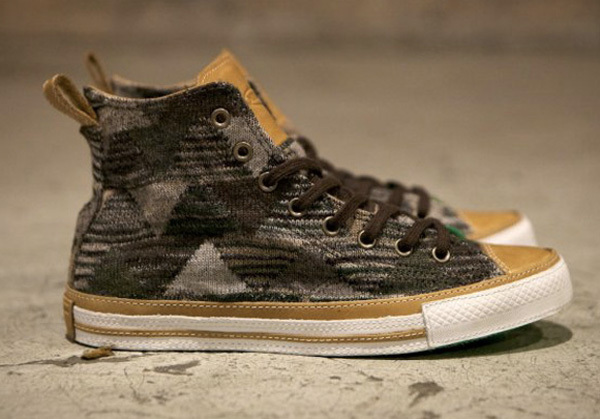 For this fall, the original Chuck Taylor All-Star silhouette is decked out in a triangular patchwork upper with earthy hues of brown and tan. 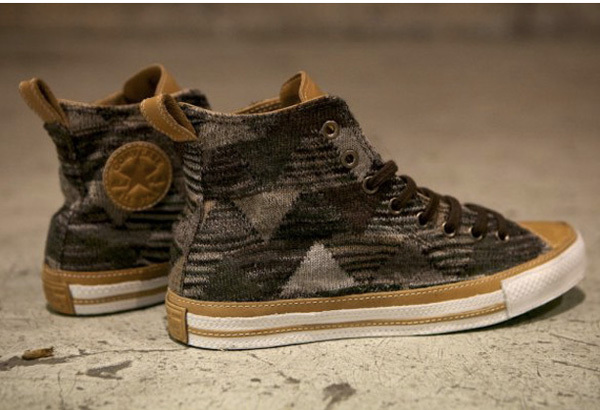 The high-top sees white and naturally tanned leather detailing on the foxing, tongue, heel pull tab and medial branding patches. 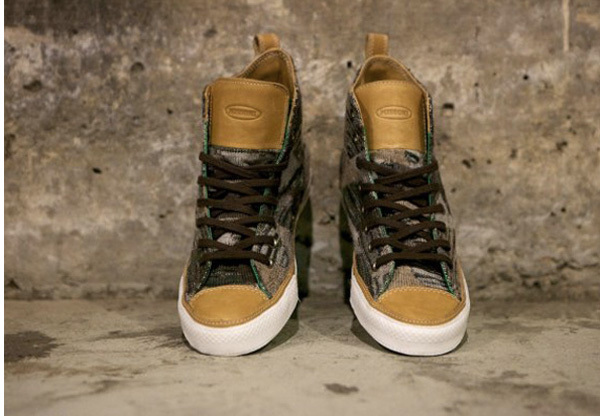 Bright green accents line the eyestay and make their way to the vulcanized rubber outsole. If you want to stride with pride in these sneakers, you can purchase them online at Australia’s Up There where they were released this past Saturday for $270 AUD (about $280 USD).